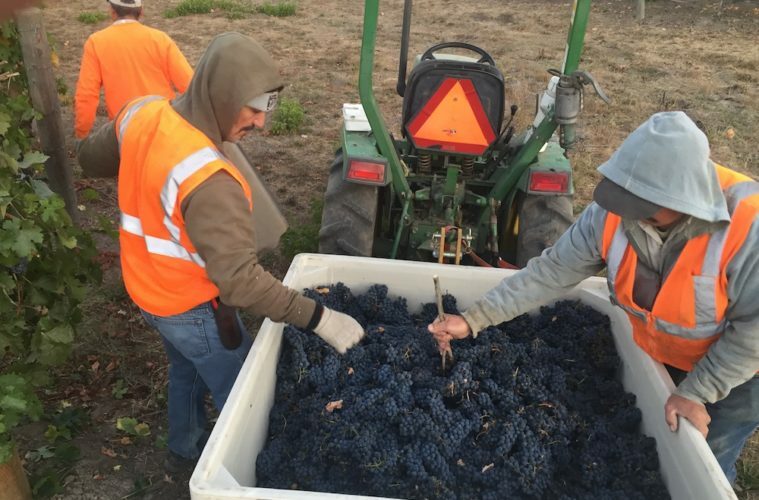 This past weekend there were several vintners harvesting Cabernet on the Napa Valley floor. Most vineyards effected by the worse fire in California history, were in the hills on either side of the Valley. 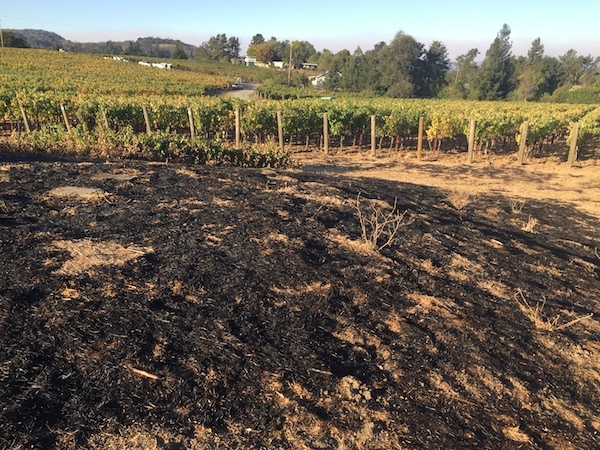 Even most of those vineyards were not affected by air assault fire retardant, but may have experienced smoke infiltration. 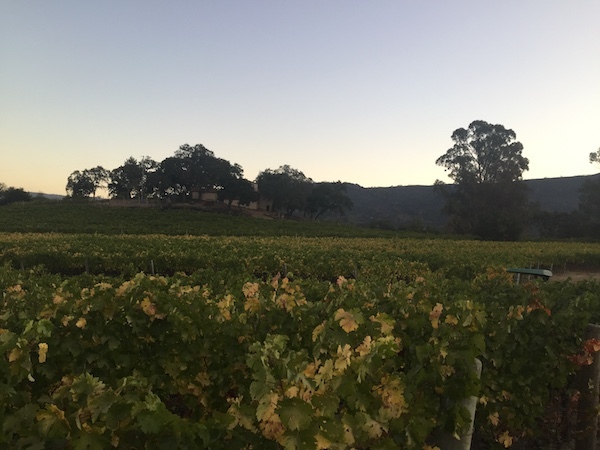 Prior to Sunday, October 8th when the fires started, 90-percent of Napa’s grapes were picked; therefore, the percentage of fruit remaining on the vines at this time is minimal. The hanging fruit being picked is mostly thicker skinned varieties that are best suited to endure harsher conditions. Currently, many growers are focused on gaining access to their vineyards located in evacuated or restricted areas hoping to survey site conditions. 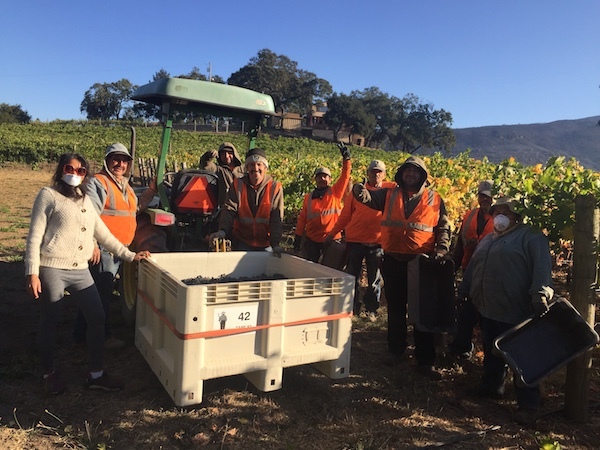 The Napa Valley Grape Growers Association are doing what they can to make sure everyone is employing good work practices while working in smoky conditions. 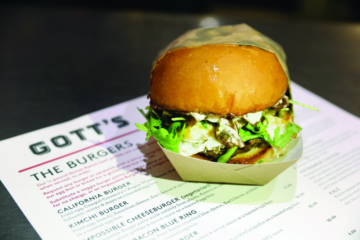 Guidelines and protocol have been provided by Occupational Safety and Health Administration (OSHA), the Napa County Ag Commissioner, and Napa County Public Health and is being disseminated to the wineries. 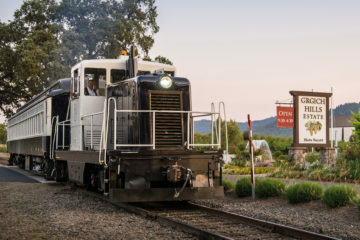 Napa growers are committed to following these guidelines and are proactively accommodating individual employee needs to ensure their safety, health, and well-being according to Heidi Soldinger, Marketing Manager for the Napa Valley Grapegrowers. “We will continue to keep everyone updated on the work of Napa’s grape growers and their efforts to help the community through these unprecedented times,” she said. 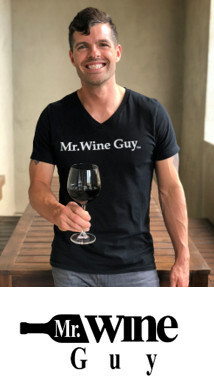 Vintner Steve Brady, who makes the premium Cabernet Sauvigon “On Q” said he was able to harvest 6-tons of premium grapes the day before the fire broke out. A week later he is questioning whether another 4-tons harvested will be good enough. 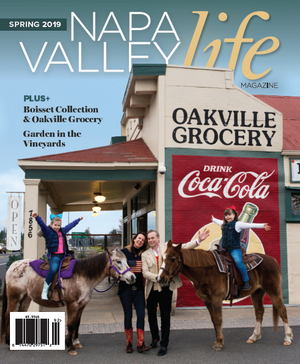 “All our vineyards are smoky,” said Brady, who has two vineyards in the Coombsville Appellation on Vichy Avenue. Vichy Avenue was one of the first areas that were mandatory evacuated. Residents and farmers were allowed back in the area on Friday. Brady said its questionable whether the grapes will be good or not. He continued that he and his crew are hoping for the best. As of Saturday, October 14, the Napa County Ag Commissioner’s Office has set the following protocol for working harvest and/or other agriculture related activities in evacuated or restricted areas. Employers with operations exposed to wildfire smoke must consider taking appropriate measures as part of their Injury and Illness Prevention Program They are also being advised to provide filtered ventilation system for indoor work areas and approved respiratory protective equipment such as masks for working outdoors. Wineries in the effective smoke area are now being requested to get a work permits by the Napa County Ag Commission before harvest more grapes. According to CalFire officials, grapes that have been contacted by flame retardant are not safe for humans and should not be harvested. The permit will ensure areas needing to be harvest are safe for both workers and future consumer consumption. 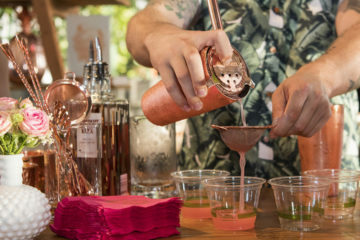 Many wineries were closed this past week during the height of the fires in the Napa Valley and beyond, not because their winery was in immediate danger, but because of power outages, poor cell phone connections and workers being evacuated from their homes. Many are expected to resume operations this coming week. According to the Napa Valley Vintners, five wineries were destroyed and eleven others sustained damage. 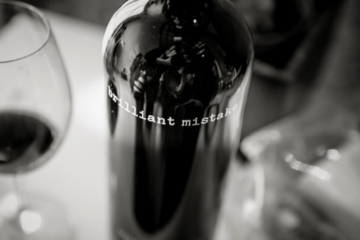 Photos courtesy of Steve Brady and his crew at “On Q” wines.